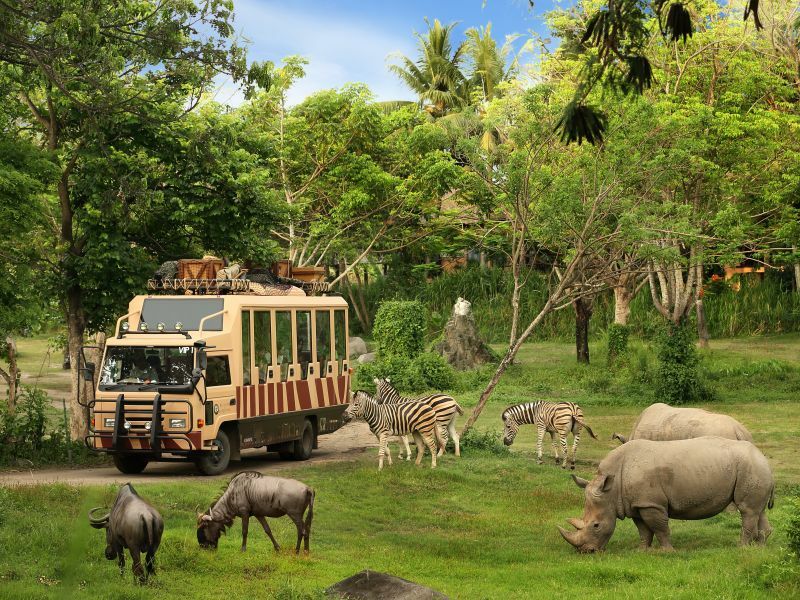 Established in Bali in 1989, Sobek was the first Adventure Tour Company of its kind on the island. 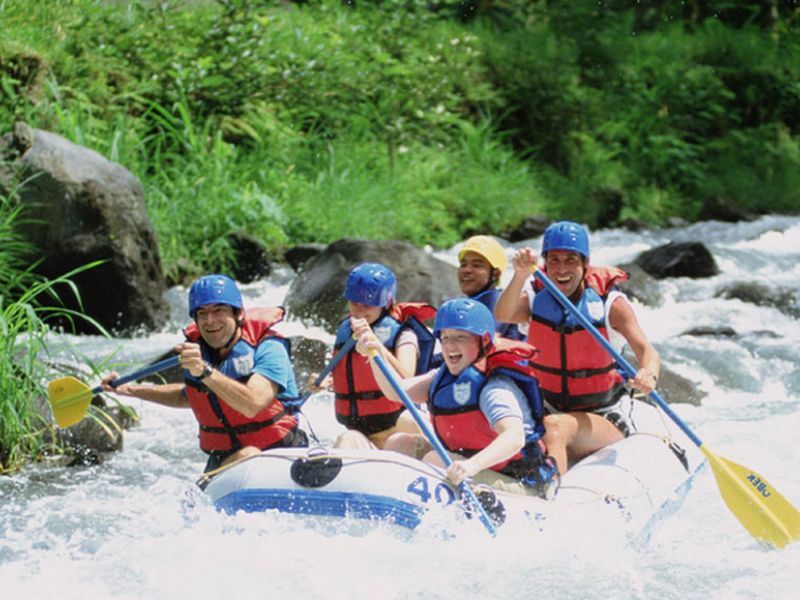 Sobek pioneered white water rafting in the 1980’s and for more than 20 years are known world wide for their safety and quality of product, also being the market leader for white water rafting in Indonesia. 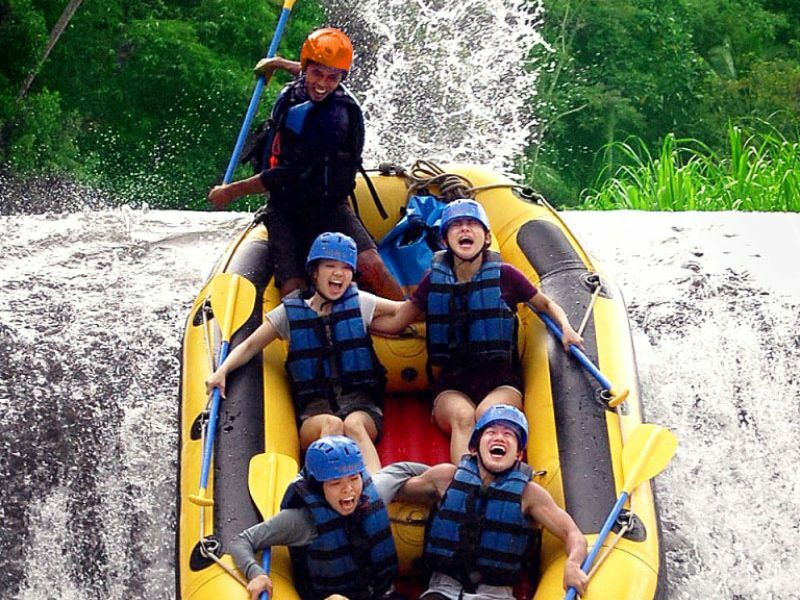 I have never tried rafting before, but it is FUN!! Our rafting guide was humorous, active and professional. 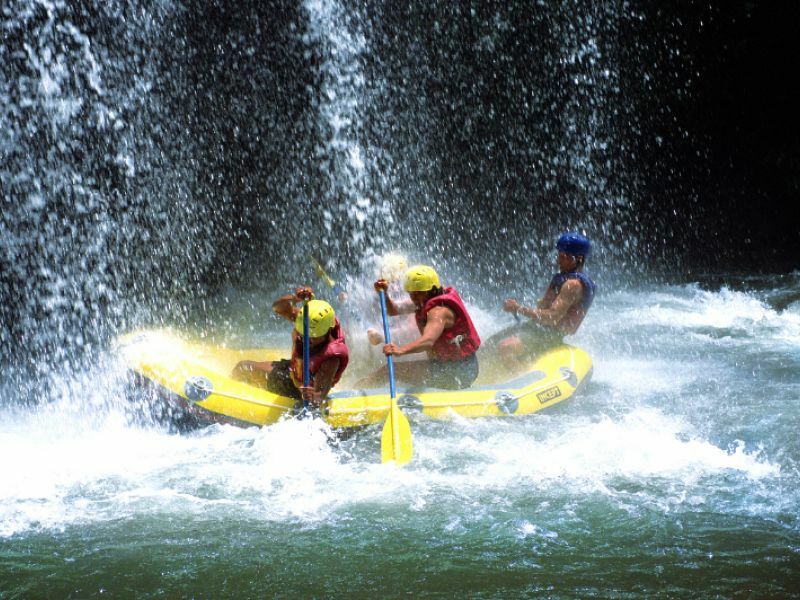 You must try rafting in Bali! Refreshing, exciting and lots of fun memory. Moreover, the buffet meal tastes thumbs up...!! We joined white river rafting. It was cool activity in the wild nature!! My children loved rafting drop-point. Highly recommend for who look for exciting activity in Bali. The Sobek adventure portfolio is one that will simply take your breath away. The thrilling Telaga Waja adventure begins in the foothills of the sacred Mount Agung, after an in-depth safety and equipment briefing by Sobek’s experienced guides. From the time you drop into the first set of rapids, your heart will be racing and your adrenalin pumping. In a continual spray of white clear water, you will rush past steep banks and ancient hanging trees, whilst rafting straight through cascading waterfalls of cold natural spring water. The Sobek guides will give you instruction and work with you to safely navigate the raft through torrents, twists, tight turns and inclined rapids. 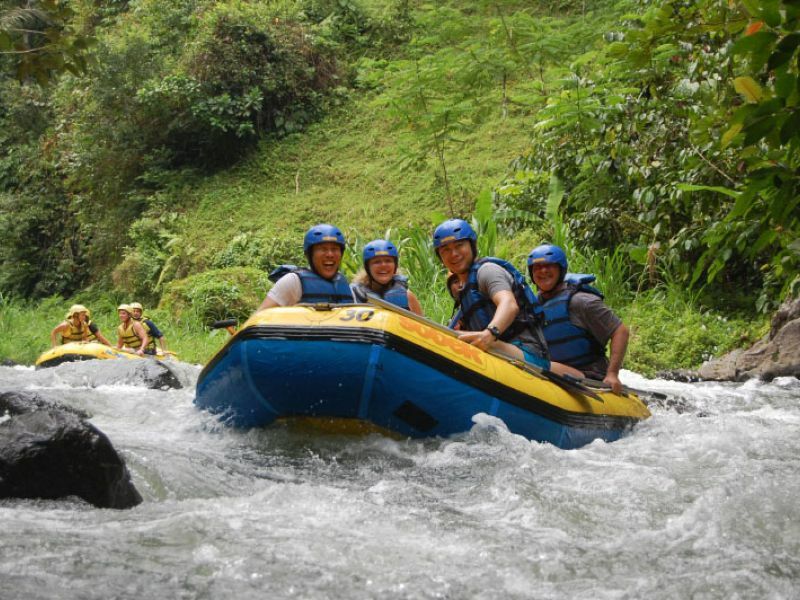 Meeting the same strict safety and service standards delivered on Sobek’s Ayung River rafting experience, the Telaga Waja put simply, will challenge you and your guide every step of the way ! 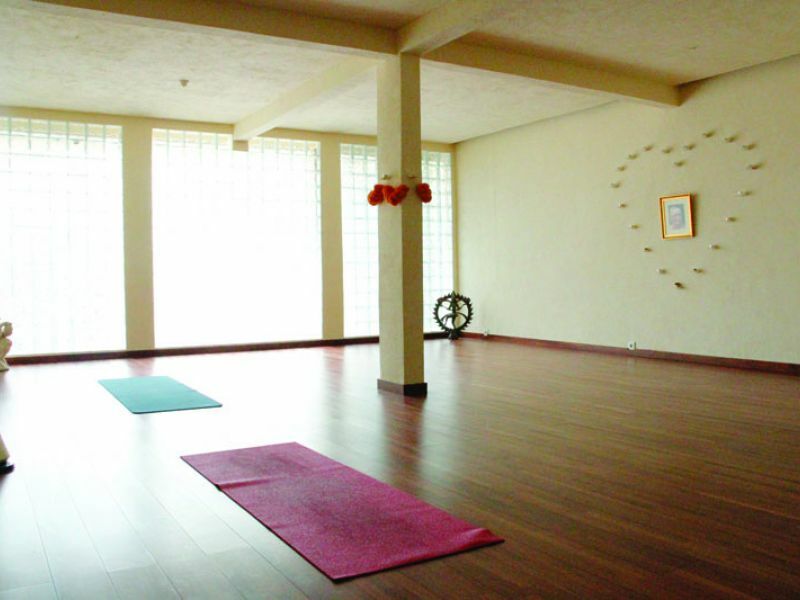 Escape from the tourist center to the cooler climates of Bali hill region. Using brand new mountain bikes and safety equipment, the downhill trail from Pengotan village will lead you through sleepy villages along little-used roads and tracks. 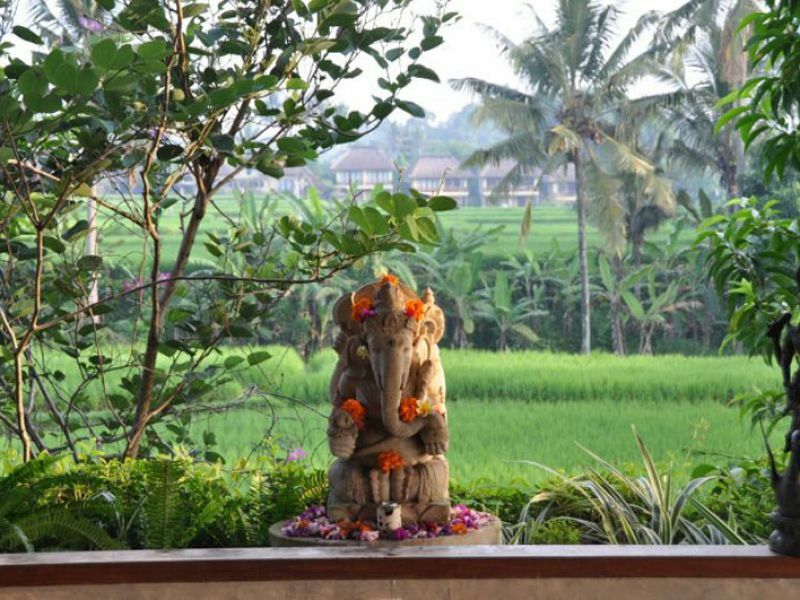 All of Sobek’s guides come from the surrounding regions and are trained to entertain and educate by sharing a broad depth of knowledge in Balinese culture and lifestyle. This journey offers an insight into a Bali that is not commonly seen, and allows you to experience the charming culture of rural Bali. A fantastic day out packed with interest, and fun ! 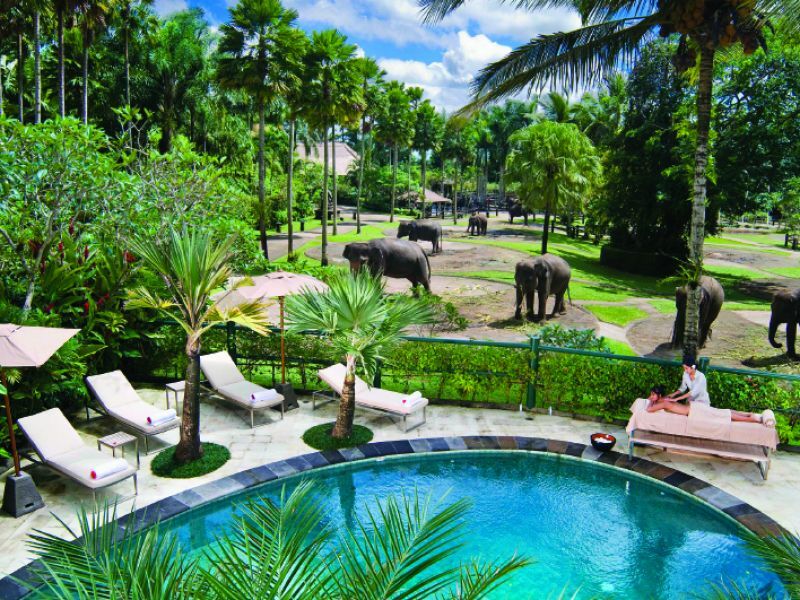 If you only do one tour with Sobek whilst staying in Bali, this is the one!